DataClarity Corporation, a leader in analytics platform and application software, cloud and consulting services, announced today a new Cognos Analytics Migration Service designed for IBM Cognos BI customers to systematically migrate their existing environments to Cognos Analytics on premise, in the cloud, or in a hybrid model based on their use cases, business and technical requirements. Given IBM’s announcement to end Cognos BI 10.X support on April 30, 2018, many organizations are interested in moving to Cognos Analytics, but need to consider all requirements including use cases, data, security, and performance, and constraints such as cost, time, internal skills, and risk management. With this unique offering, DataClarity is providing clients a methodical approach to evaluate and understand all deployment options, with the objective of selecting, planning, and executing choices that best fit their short and long range requirements. Working with Cognos and hundreds of customers since 1999, DataClarity has staffed the new migration service with only senior and principal level technical and subject matter experts who average 15 years’ experience and possess deep knowledge in every aspect of migration, deployment, and upgrades. The offering is structured as a multiphase engagement commencing with a no cost assessment and concluding with the go-live and follow-on support — by employing a highly-experienced team, a proven purpose-built methodology, and automated tooling, DataClarity can successfully deliver a cost effective and timely migration with a clear path to business value. 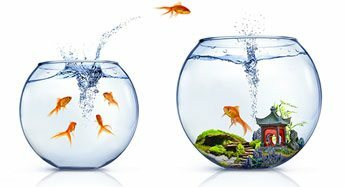 For more information on the Cognos Analytics Migration Service, please visit Cognos Analytics Migration Service page. DataClarity Corporation, a leader in analytic platform and application software, cloud and consulting services, announced today the opening of new offices in Romania and Ukraine. This investment enables DataClarity to dramatically expand its research, development, consulting, and support teams to accelerate both analytic platform and application software initiatives. The new offices serve as strategic hubs for driving state of the art innovation focused on the company’s DashInsight Analytic Platform and SmartBusiness Analytic Apps. By expanding beyond the company’s well-established North American operations with offices in Bucharest and Lviv, DataClarity builds a global top performing world-class organization employing the best and brightest capable of delivering world-class solutions and services to clients globally. DataClarity Corporation, a leader in business analytics software, consulting and education services, was named a winner of a 2017 IBM Beacon Award for Digital Marketing Excellence. This honor is awarded to select IBM Business Partners that deliver outstanding solutions across IBM’s broad product and service portfolio to drive business value for customers. The 2017 awards recognize achievements across a wide-range of growing solution areas, including cloud and Watson IoT, all of which are helping clients thrive in the cognitive era. “I am just delighted to once again have our people, products, and company recognized by IBM with a Beacon Award for the fifth straight year”, said Mark Mueller, Managing Partner of DataClarity. “Receiving the most prestigious partner award from IBM for our team and DashInsight platform innovation, excellence, and best-in-class capabilities is indeed a great honor and testimony to the extraordinary achievements we have enjoyed with our many mutual customers. It is in this spirit that we extend our sincere appreciation to IBM, and look forward to our continued growth and success to bring the best to our clients in 2017 and beyond”, added Mueller. The Beacon Awards are an integral part of IBM’s Business Partner recognition program. Announced at the IBM PartnerWorld Leadership Conference in Las Vegas, Nevada, United States, the winners are selected by a panel of expert judges consisting of IBM executives, industry analysts and members of the press. The awards are given to Business Partners around the world who have demonstrated business excellence in delivering IBM-based solutions to clients to drive transformation and business growth. This year’s awards recognized Business Partner achievements across 19 award categories encompassing a wide-range of solution areas, including analytics, collaboration, cloud, commerce, cognitive, Watson IoT and security. 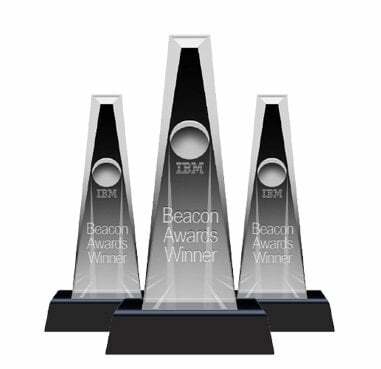 For more information about the IBM Beacon Awards, including details on the winners and finalists, please click here. To learn more about IBM PartnerWorld, a comprehensive program that offers marketing and sales resources, training, certification and technical support to help create new revenue and market opportunities for IBM Business Partners, click here. DataClarity was named a winner of a 2016 IBM Beacon Award for Outstanding IBM Analytics Cloud Solution. Each year, this honor is awarded to a select number of IBM Business Partners who have delivered exceptional solutions to drive business value and transform the way clients and industries do business in the future. The 2016 awards recognize achievements across a wide-range of solution areas, including IBM Watson, cloud and analytics that are helping to bring clients into the cognitive era. The Beacon Awards are an integral part of IBM’s Business Partner recognition program. Announced at the IBM PartnerWorld Leadership Conference in Orlando, Florida, United States, the winners are selected by a panel of expert judges consisting of IBM executives, industry analysts and members of the press. IBM’s Beacon Awards recognize Business Partners who have demonstrated business excellence in delivering IBM-based solutions to clients around the world to drive transformation and business growth. This year’s awards recognized Business Partner achievements across 24 award categories. DataClarity Corporation, a leader in business analytics software, consulting, and education services is to establish an EMEA HQ in Dublin with plans to create an initial 30 jobs over the next three years. Recruitment for the new roles is already underway with a range of Management, Business Development, IT, Services and Research & Development roles available. The investment underlines DataClarity’s commitment to meeting the needs of its growing client base in Europe who require a trusted partner to deliver proven performance management software, consulting, and education services. DataClarity Corporation, a leader in business analytics software, consulting, and education services, today announced it was named winner of 2015 IBM Choice Award for Top Business Partner in Marketing Excellence – North America. Announced at the IBM PartnerWorld Leadership Conference in Las Vegas, Nevada, United States, IBM’s Choice Awards recognize a select number of IBM Business Partners who have demonstrated business excellence in delivering IBM-based solutions resulting in exceptional client experience and business growth. The IBM Business Partners who win Choice awards exhibit IBM values in all client interactions and achieve common business goals, resulting in superior customer satisfaction and mutually significant business impact. The Choice Awards are selected by IBM leadership in each geography and are given to Business Partners across a range of categories, recognizing their working relationships with clients and demonstrated skills in selling IBM solutions. DataClarity’s sole focus and investment in delivering innovative IBM Analytics solutions have won them many honors including multiple Beacon Awards, and innovation and excellence awards including the 2014 IBM Worldwide Business Partner of the Year for Business Intelligence and Predictive Analytics Excellence. They have also recently earned accreditation by IBM for both their BI and SPSS practices, making them one of the most qualified partners worldwide for IBM Analytics. DataClarity Corporation, a leader in business analytics software, consulting, and education services, was named winner of the 2015 IBM Beacon Award for Outstanding Business Analytics Solution. Each year, this honor is awarded to a select number of IBM Business Partners who have delivered exceptional solutions to drive business value and transform the way their clients and industries do business in the future. The 2015 awards recognize achievements across a wide-range of solution areas, including, cloud, analytics, mobile, security and social business. The Beacon Awards are an integral part of IBM’s Business Partner recognition program. Announced at the IBM PartnerWorld Leadership Conference in Las Vegas, Nevada, United States, the winners are selected by a panel of expert judges consisting of IBM executives, industry analysts and members of the press. IBM’s Beacon Awards recognize Business Partners who have demonstrated business excellence in delivering IBM-based solutions to clients around the world to drive transformation and business growth. This year’s awards recognized Business Partner achievements across 28 award categories. This includes two new awards for 2015: the Big Data and Analytics Solution award and Technical Support Services Solution award. To learn more about DashInsight, please click here. For more information about the IBM Beacon Awards, including information about winners and finalists, please visit the IBM Beacon Awards site. DataClarity Corporation announced today their continued Northeast expansion with the appointment of Wayne Fugate and the simultaneous opening of an office in New York, NY. This investment marks DataClarity’s commitment to continue meeting the growing needs of companies in the Northeast who require a trusted partner to deliver proven performance management software, consulting, and education services. Mr. Fugate brings over 25 years of experience working with clients in the Northeast with the last 8 years focused on IBM Cognos Performance Management solutions. Prior to joining DataClarity, Wayne was employed as a Senior Account Executive where he was instrumental developing new client relationships in the Northeast US and Canada. Wayne’s depth and breadth of experience working with mid-size to Fortune 500 companies in a broad spectrum of industries coupled with his strong client service proficiency will be extremely valuable to DataClarity’s continued growth and success. DataClarity Corporation was named the winner of the 2013 IBM Beacon Award for Business Analytics Innovation in the Analytics and Big Data category. This honor is awarded each year in recognition of a very select number of IBM Business Partners who have not only delivered innovative solutions but have set the standards for business excellence, ingenuity, and creation of an exceptional client experience. The Beacon Awards is a vital element of IBM’s Business Partner recognition program. Announced at the IBM PartnerWorld Leadership Conference in Las Vegas, Nevada, United States, and selected by leading industry influencers and IBM executives from among hundreds of nominations, IBM’s Beacon Awards recognize IBM Business Partners who have demonstrated business excellence in delivering IBM-based solutions resulting in client transformation and business growth. This year’s awards recognized Business Partner achievements across 30 award categories. DataClarity Corporation today announced the continued expansion of its business with the appointment of Linda Cangialosi Totten to the Northeast Region simultaneous with the opening of a new office in Philadelphia, Pennsylvania. This investment marks DataClarity’s commitment to continue meeting the growing needs of companies in the Northeast who require proven performance management software, consulting, and education services. Ms. Totten joined the DataClarity sales team in the role of Senior Director of Sales with a keen focus on bolstering the company’s growth and development in the northeastern United States. Linda’s proven background in sales and business development, her track record of building loyal customer partnerships across many industries, and her extensive experience in business analytics and performance management will help ensure DataClarity continues to grow and achieve its strategic goals. Ms. Totten brings over 30 years of progressive experience in the technology arena, including financial and business intelligence solution selling and managing a broad array of customer relationships. She has a proven track record of overachievement in software and services sales at companies including SAP, Oracle, IBM, and MicroStrategy. Her experience spans companies from the Fortune 500 to mid-size businesses, each of whom benefited greatly from her expertise, lauded leadership style, and goal-focused work ethic. “I am just thrilled to formally announce our continued expansion in the Northeast with the appointment of Linda Totten to this region,” said Mark Mueller, Managing Partner at DataClarity. “With her depth and breadth of experience in business analytics, leadership acumen, and legacy of success, Linda shares DataClarity’s objective of ensuring long term value and lifetime client relationships. Working alongside our senior leadership, I’m confident she will deliver true competitive advantage to our clients and partners for years to come”.